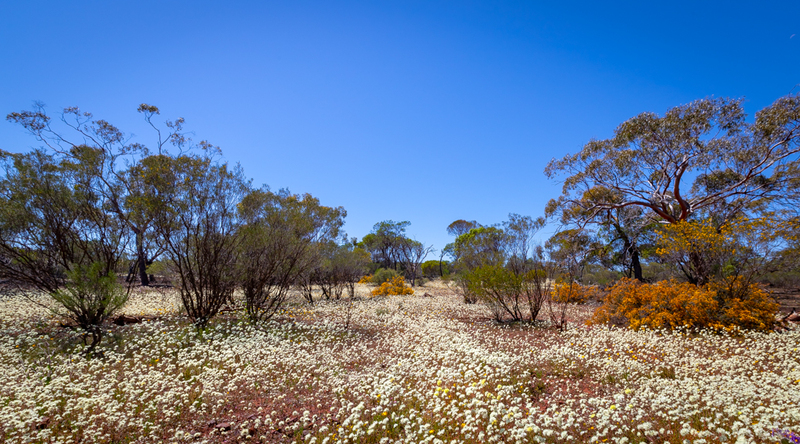 Mt Gibson Wildlife Sanctuary protects a large area of diverse habitat in the south of Western Australia. 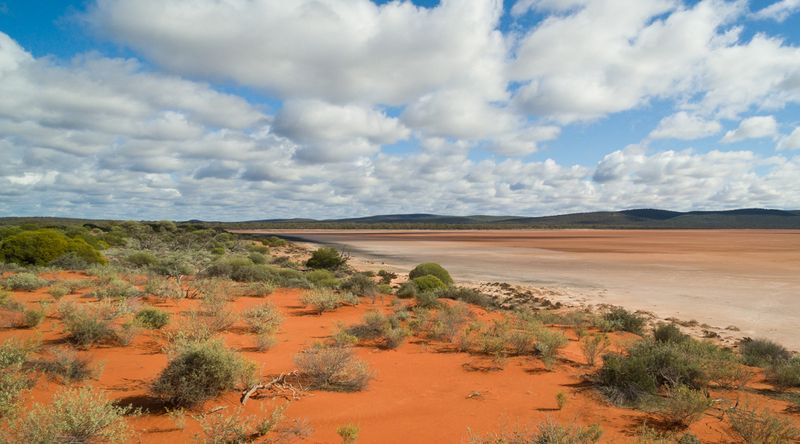 As the site of an ambitious reintroduction project, it is set to play a critical role in the conservation of the threatened mammals of southwestern Australia. Mt Gibson Wildlife Sanctuary covers a vast 131,812 hectares, about 350 kilometres from Perth. The property straddles a botanically rich transition zone between two major botanical provinces, and protects an incredible diversity of both flora and fauna. 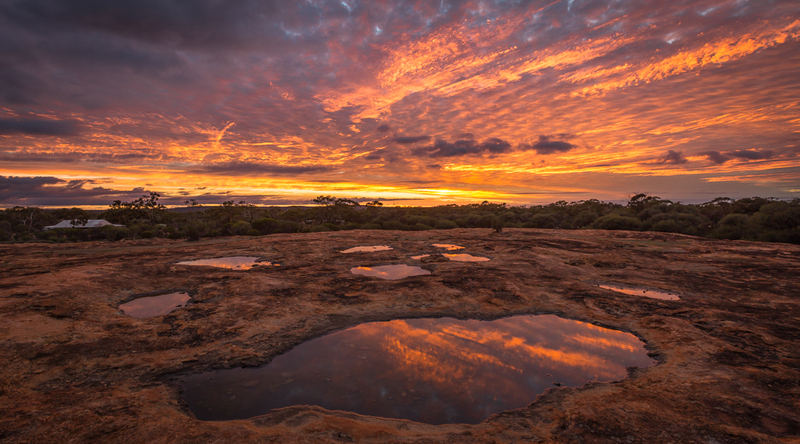 The sanctuary is the site of one of Australia’s most ambitious mammal reintroduction projects, involving the construction and rewilding of a 7,800 hectare feral-free area. The varied landscape of Mt Gibson – featuring Lake Moore, rugged greenstone ranges, granite ridges and vast sandplains – provides refuge for an impressive assortment of mammal, bird and reptile species, including the endangered Malleefowl and Western Spiny-tailed Skink, and cryptic mammals such as Woolley’s Pseudantechinus. The topography and underlying geology of the property are complex. 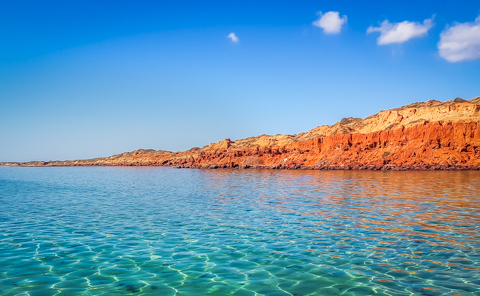 The dominant landforms are greenstone ranges in the northeast and banded ironstone hills in the northwest. 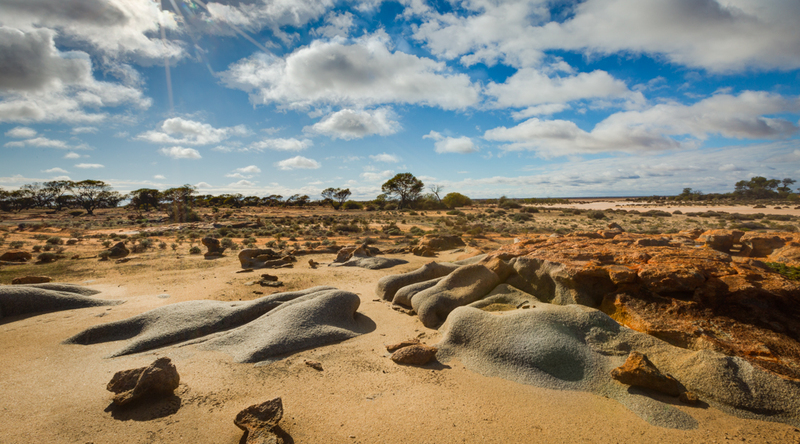 Granites and gneisses of the Yilgarn Block underlie much of the property and outcrop as domes or breakaways in a number of places. The ranges are separated by gently sloping pediments and floodplains with salt lakes and clay pans, and extensive sandplains in the south. Lake Moore is an ephemeral saline lake that extends along the entire eastern boundary of the property. 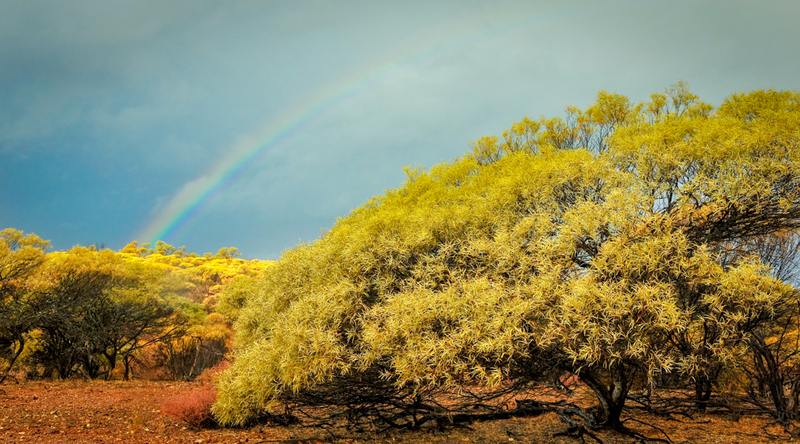 The property’s rainfall is extremely variable: in some years it has a pattern of winter rainfall like the driest parts of the wheatbelt, and in others it is more similar to northern areas which occasionally have very large summer downpours. However, summers are always hot. Mt Gibson was run as a sheep station before AWC acquired it, but it was never heavily stocked and the integrity of the soil and vegetation suffered very little damage. As part of the mammal reintroduction project taking place at Mt Gibson, AWC has established a 7,800 hectare feral-free area – the largest cat and fox-free area on mainland WA – into which at least 10 regionally extinct mammals will be reintroduced. This single property will therefore play a critical role in providing a secure future for around 14% of Australia’s nationally threatened mammals. Mt Gibson is located in a transitional vegetation zone called the “mulga-eucalypt line’ spanning the arid Eremean botanical province to the north-east and the moister South-west botanical province. Our analysis at the time of acquisition revealed that 9 of the 13 broad vegetation communities on Mt Gibson were either not represented in any national park or had less than 1% of their original distribution protected. 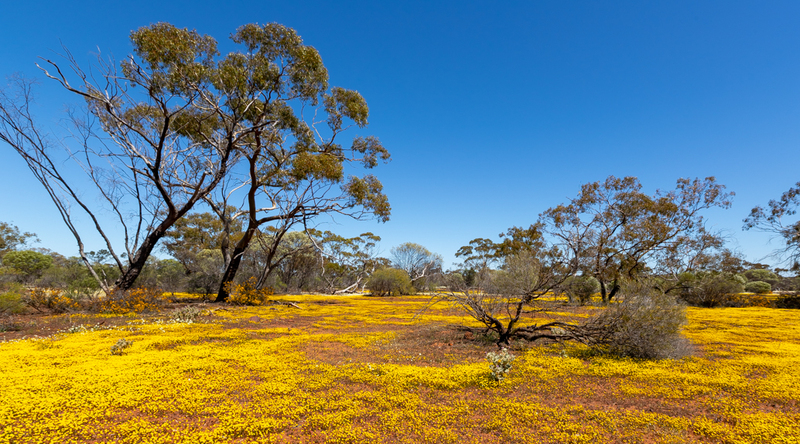 The property supports some of the last great wheatbelt stands of magnificent eucalypt woodlands, as well as a host of other rare and declining vegetation communities and up to 30 threatened plant species. So far, 664 plant species have been confirmed for the sanctuary, but the number increases with nearly every survey, and it is likely that there are 700-800 present. 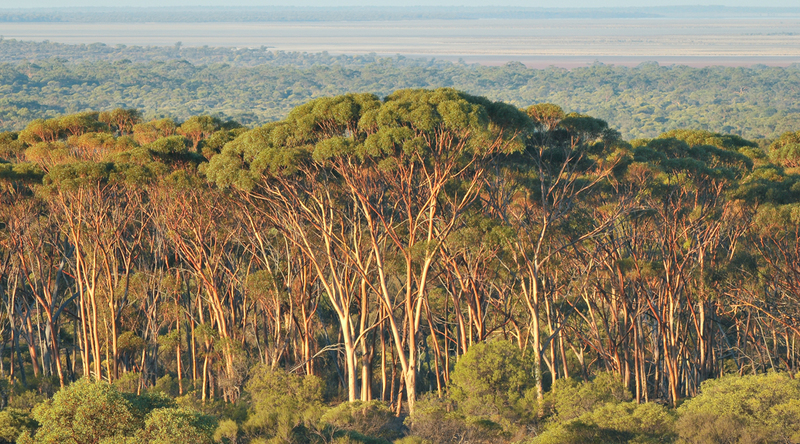 There are at least 40 eucalypt species on the sanctuary. 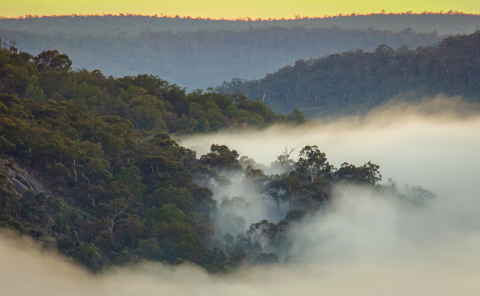 The eucalypt woodlands cover around 60,000 hectares (half of the property), and include Salmon, Gimlet and York gum. 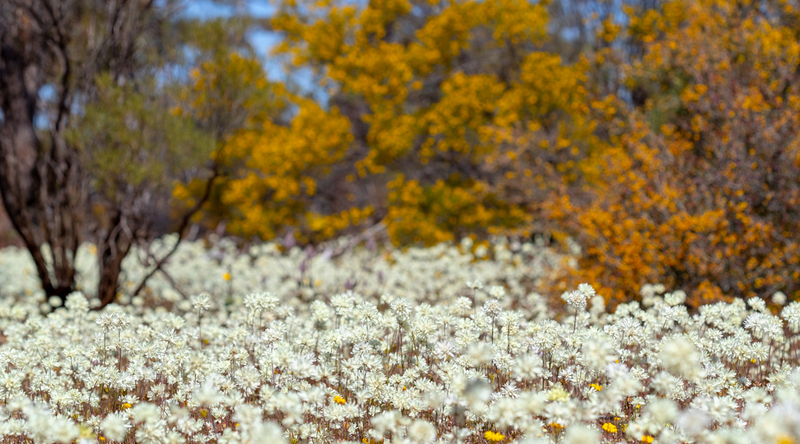 Mt Gibson is a hotspot for acacias – 60 species have been confirmed so far, several of which are listed as threatened. In partnership with the WA Department of Parks and Wildlife, we have established new populations of two of the rarest acacias – Gibson Wattle (Acacia imitans) and Ninghan Wattle (Acacia unguicula) – by nurturing several hundred of them in a herbivore-free exclosure on the sanctuary. 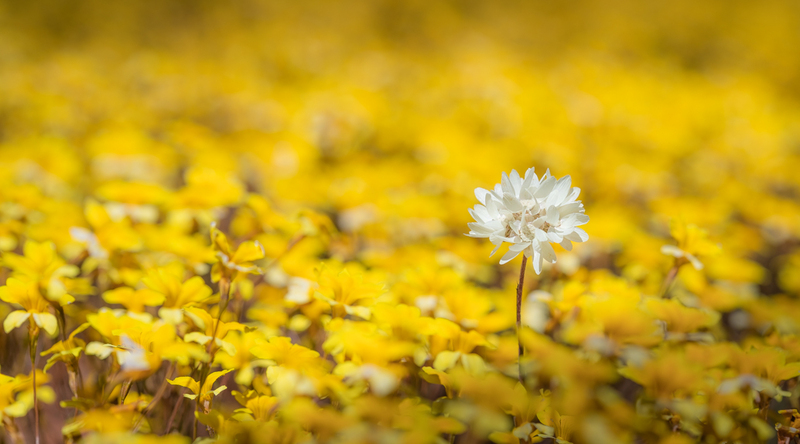 Every few years, when large downpours occur at the right time, Mt Gibson puts on a vivid floral display. 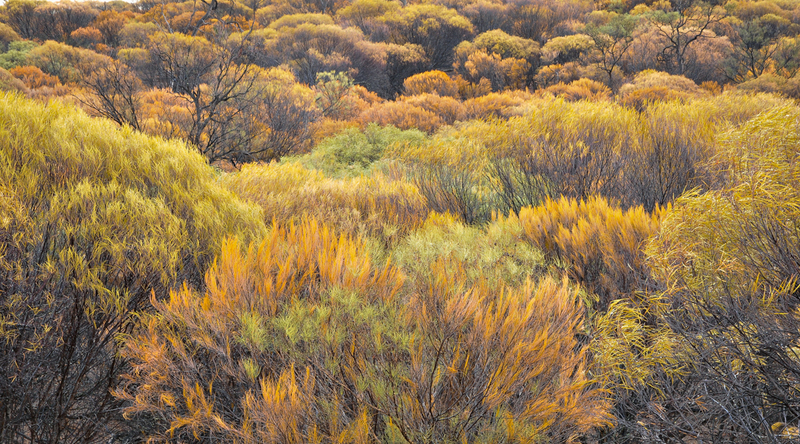 There are about 25 species of grevilleas and hakeas and at least 20 species of eremophila. Dense carpets of multicoloured flowers form (60 Asteraceae species confirmed on the sanctuary so far), and hillsides are covered with myrtaceous shrubs with seasonal pink and white blossoms. Mt Gibson supports a high diversity of wildlife including many birds that have declined significantly in the WA wheatbelt, such as Malleefowl and Major Mitchell’s Cockatoo, as well as Peregrine Falcon and Australian Bustard. The small mammal fauna includes four species of Dunnarts, two species of Hopping-mice and the Southern Ningaui. The reptile community features the iconic Perentie and Thorny Devil, as well as lesser-known species such as the endangered Western Spiny-tailed Skink. Even the invertebrate communities are impressive: on one early biological survey, over 100 species of native bees were collected by the South Australian Museum and, of these, 50 species were new to science. However, as with much of inland Australia, the region in which Mt Gibson is located has lost a high proportion of its original mammal fauna. Around half of the mammals that were originally found in the wheatbelt and adjacent arid zone have disappeared as a result of feral predators, loss of habitat and the effect of feral herbivores. Mt Gibson is set to play a critical role in reversing this tide of extinctions. AWC has established a 7,800 hectare feral-free area (protected by a feral-proof fence) in which wild, self-sustaining populations of at least 10 mammal species will be re-established. Eight species have already been reintroduced, including the Bilby, Numbat, Banded Hare-wallaby, the Woylie and the Western Barred Bandicoot. 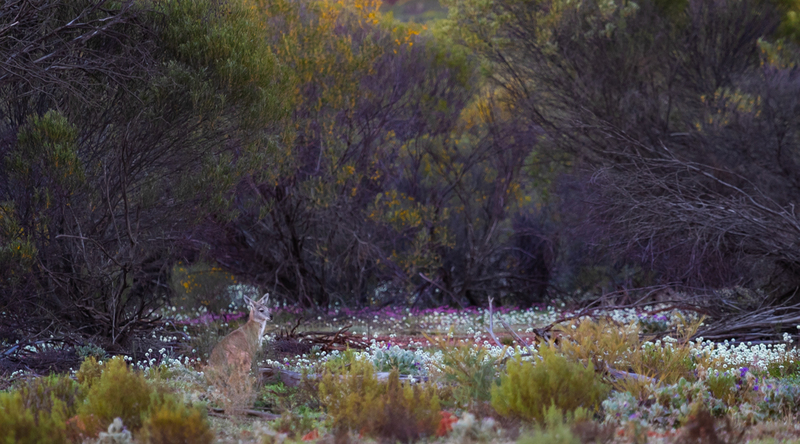 The primary focus of field programs at Mt Gibson sanctuary has been the establishment of the largest feral cat and fox-free area on mainland WA, allowing for the reintroduction of a suite of threatened mammals. Feral cats and foxes occur at high densities across much of southwestern Australia. Outside of the feral-free area at Mt Gibson, a range of strategies are employed to reduce the density of feral predators, such as baiting and shooting. While baiting can be employed to reduce fox densities, there is no effective landscape-scale control for cats. AWC is at the forefront of efforts to develop effective strategies for cat control. Feral goats and rabbits are the only feral herbivores outside the fenced area at Mt Gibson. Goat densities are now low thanks to a dedicated program of shooting and trapping, combined with a reduction in artificial watering points. Rabbits are controlled through shooting, baiting and ripping of warrens. Both goats and rabbits require ongoing management. 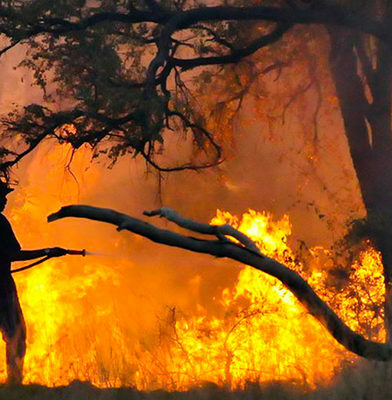 The fire management strategy for Mt Gibson aims to prevent extensive, intense wildfires, which can alter the structure and integrity of woodlands and shrublands. Firebreaks have been installed to protect the feral-free area and to break up the property in the event of wildfire. No substantial fires have occurred on Mt Gibson over the last 10 years. The property is relatively weed-free, although there are several species that are being progressively removed through a combination of chemical treatment and manual removal. 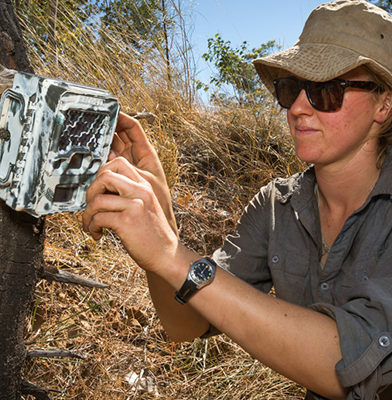 Monitoring the extant populations of mammals and reptiles each year by carrying out standardised surveys at sites stratified by different vegetation types, both inside and outside the feral-free area. We also measure a range of important ecological attributes at these sites. 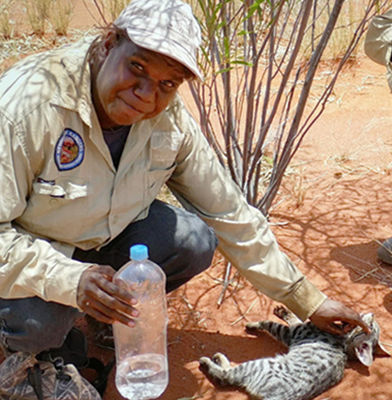 As this program started in 2011, we can assess the impact that removing feral animals has on animals and vegetation. In partnership with Birdlife Australia, each year AWC carries out standardised bird surveys at the trapping sites to monitor any changes in species richness and occupancy over time. In partnership with the Malleefowl Preservation Group, we regularly monitor the status of Malleefowl nests at mapped mounds both inside and outside the fenced area. The establishment of the Neville Tichbon Field Research Station at Mt Gibson has made the sanctuary a hub for scientific activity in the region. 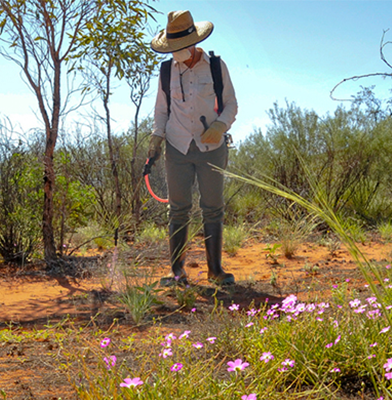 It provides a well-equipped base from which AWC ecologists, and our scientific partners, can examine a range of key issues relating to biodiversity and the restoration of mammal populations, the conservation of the extraordinary flora of southwestern Australia and related issues such as fire management and feral animal control. The establishment of a large feral-free area at Mt Gibson has enabled the reintroduction of a suite of threatened mammal species. Conservation fencing is the only current strategy which effectively protects endangered mammals from cats. 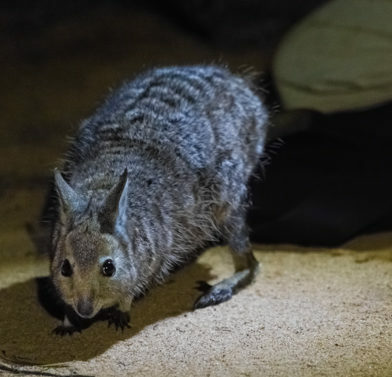 Some of the mammals to be reintroduced – such as the Western Barred Bandicoot, the Greater Stick-nest Rat and the Banded Hare-wallaby – now survive only on offshore (cat-free) islands or within mainland, fenced islands. 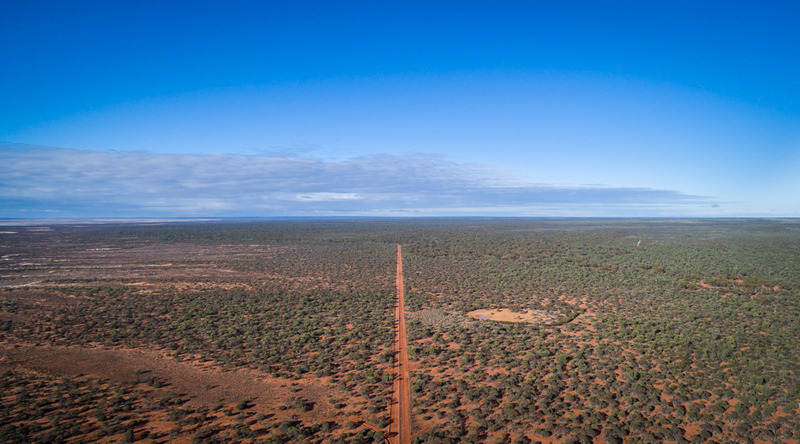 The specially designed feral-proof fence is 43 kilometres long, built around 7,800 hectares of the best habitat on Mt Gibson. The fence is 6 feet high with a skirt, an overhang and electric wires, and took 9 months to construct. The eradication of foxes and cats from within this area involved a combination of trapping, shooting and baiting. All of the feral predators and herbivores have now been removed from inside the fence, forming the largest fox and cat-free area on mainland Western Australia. The Mt Gibson Endangered Wildlife Restoration Project involves the reintroduction of at least 10 regionally extinct mammal species, nine of which are nationally threatened – the Greater Bilby, Numbat, Woylie, Western Barred Bandicoot, Shark Bay Mouse, Red-tailed Phascogale, Greater Stick-nest Rat, Banded Hare-wallaby and Chuditch. Reintroductions started in September 2015. The importance of the Mt Gibson project is immense: this single project will deliver a significant increase in 14% of Australia’s threatened mammal species. Once target population numbers are reached, the project will increase the global Numbat population by around 24%, and the Banded Hare-wallaby population by around 56%. 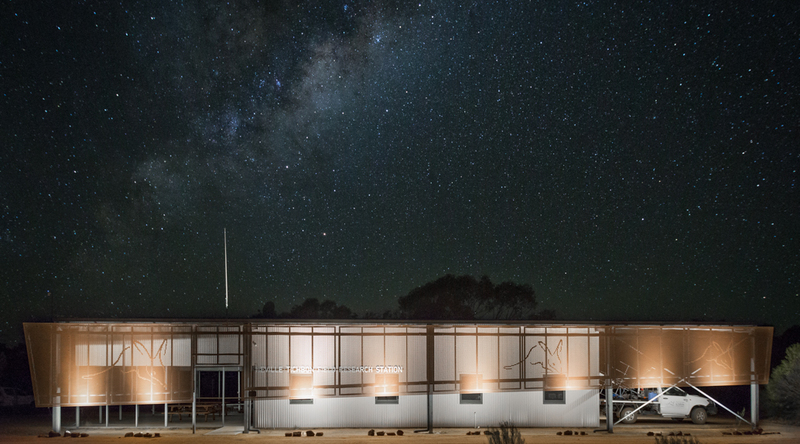 The Mt Gibson project has been informed by world class science. 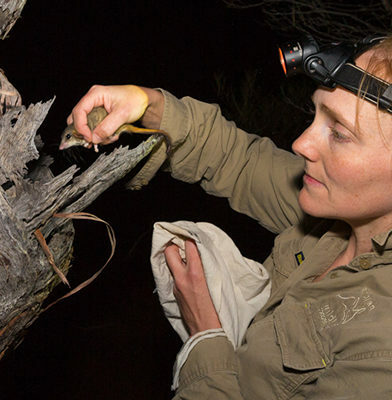 AWC ecologists have conducted a detailed habitat analysis to ensure the right mix of habitats within the feral-free area; have defined reintroduction strategies for highly threatened mammal species; and will be monitoring the health of reintroduced mammal populations. The Greater Stick-nest Rat is a guinea pig-sized native rodent which builds a large communal home out of sticks and stones. 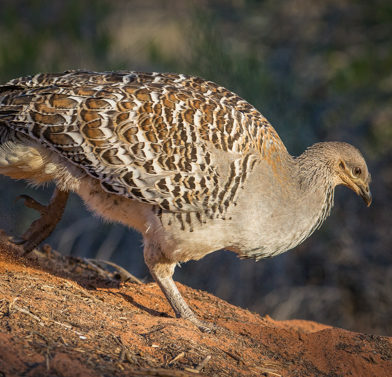 The Malleefowl is a large ground-dwelling bird and one of only three mound-building bird species in Australia. 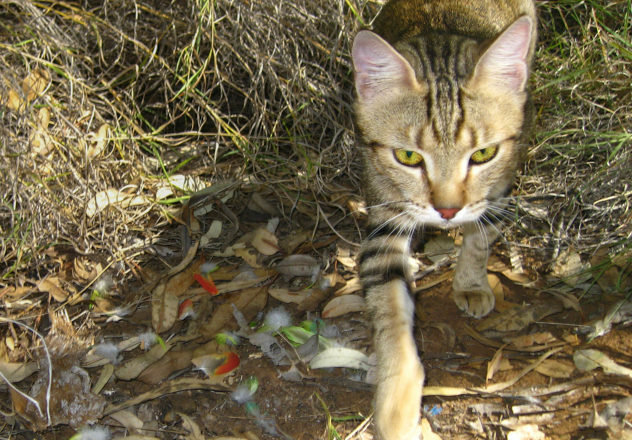 Feral cats and foxes have caused widespread collapse in Australia’s mammal populations, and are a serious ongoing predation threat. Conservation fences are one of the most effective strategies to prevent further extinctions of small and medium sized mammals, as there is currently no landscape-scale control method for feral cats (although AWC is conducting extensive research into potential strategies). Reintroduction projects like the one at Mt Gibson play a critical role in the conservation of Australia’s threatened species.